Result : Comilla Victorians won by 80 runs. Player of the Match : Evin Lewis (Comilla Victorians). 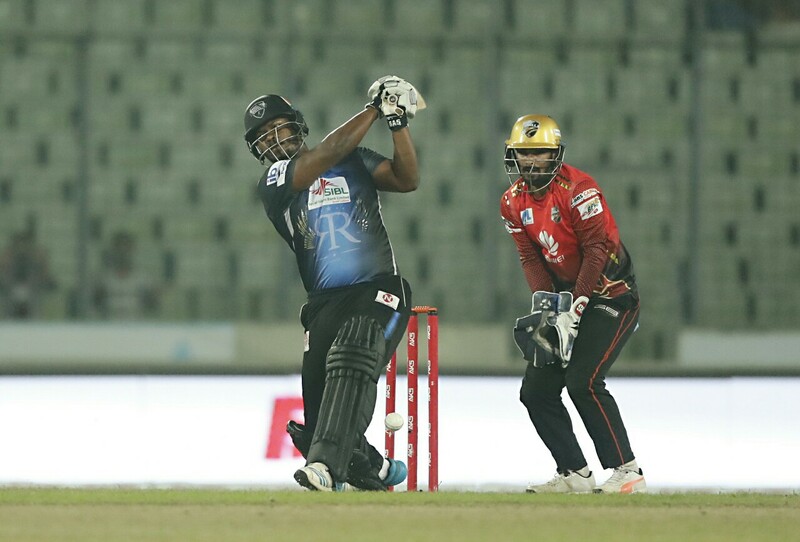 A blistering Evin Lewis powered Comilla Victorians to a big win against the struggling Khulna Titans side as Victorians sealed a 80-run win at Zahur Ahmed Chowdhury Stadium, Chattogram. Following the win, Victorians are now at the second spot on the table while Titans remained at the bottom spot on the points table. Victorians innings was started off on a good note as Lewis guiding their innings throughout the 20 overs with by demolishing the Titans bowlers. Lewis remained unbeaten on 109 off 49 balls. Skipper Imrul Kayes chipped in with a quick-fire 21-ball 39-run knock as Victorians posted a mammoth total of 237 for 5 in 20 overs, second highest ever in BPL history. Mahmudullah picked up 2 wickets for 32. In response, no other batsmen apart from half-centurion Brendon Taylor put any significant contributions for the Titans. Junaid Siddique’s 27 and Carlos Brathwaite’s 20 were only reducing the defeat margins as Titans were all out for 157. Wahab Riaz and Shahid Afridi both shared 3 wickets each. Wahab picked up the second hat-trick of the tournament in the 19th over. Evin Lewis named the player of the match for his match-winning hundred.